Colorado State University’s Fort Collins campus is pushing a new food waste disposal program along with a RecycleMania competition. The competition itself is an independent program put on by 650 other universities in a bid to get students involved in recycling and waste reduction efforts. Every dorm hall on campus participates in the competition which sees who can recycle the most amount of waste over a two-month period. Whichever dorm recycles the most waste wins the highly sought RecycleMania trophy, along with funds that can be put towards encouraging more waste reduction in the Fort Collins area. Colorado State’s administration has also put together a deal that will allow the school to use its food waste as part of a waste-to-energy pilot program with the city of Fort Collins. The school produces over a thousand pounds of food waste every day, with a large portion of it currently being composted. The pilot energy program will help dispose of nearly 1,000 pounds of food waste once its up and running. The program utilizes the anaerobic digesters located at the nearby Drake Water Reclamation Facility to burn up the food and use the resulting methane as a fuel source. The energy output will help run the facilities’ equipment in use for other waste reclamation projects. Students and faculty alike hope that their focus on waste reduction will help reduce the amount of garbage that ends up in Fort Collins’ dumpsters. To encourage the trend, the university plans to expand the food waste program to include all of the dining centers one campus. Further recycling initiatives will be put on by CSU to help increase the amount of waste that the school diverts from landfills every year. But for now, the student body will wait with bated breath until the RecycleMania trophy is presented at the end of the month. 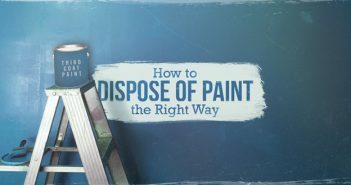 What’s the Right Way to Dispose of Old Paint? 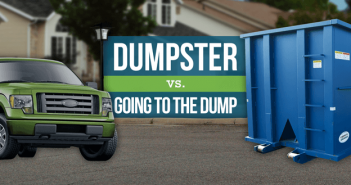 Should You Haul Trash to the Dump Yourself or Rent a Dumpster? 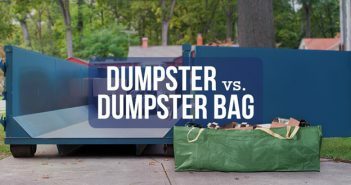 Dumpster vs. Dumpster Bag: Which Is Right for Your Project?